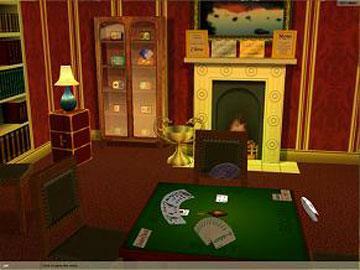 Enter the exciting world of Bridge, featuring new 3D graphics that bring the environment to life. Play a challenging game of Chicago or Rubber, or step up to play full teamplay Duplicate and Pairs tournaments! 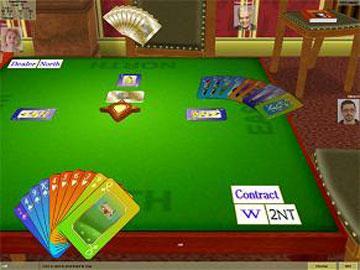 Omar Sharif Bridge II offers a game of intricate deliberation, skill, and chance for the novice and expert. Master Card champion Omar Sharif shows you how to improve your bridge game and takes you through the card bids. You can challenge opponents with two-player Hot seat, LAN, and Internet play! Adjust your game settings to such rules as Acol, Standard American, 5 Card Majors, Standard English, and Modern Acol. 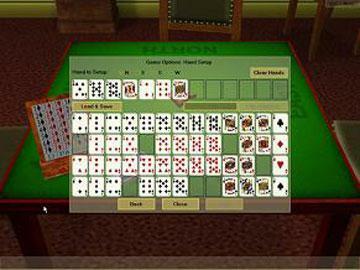 You can also analyze bridge hands with Omar's tutorial database of over 100 bridge hands.